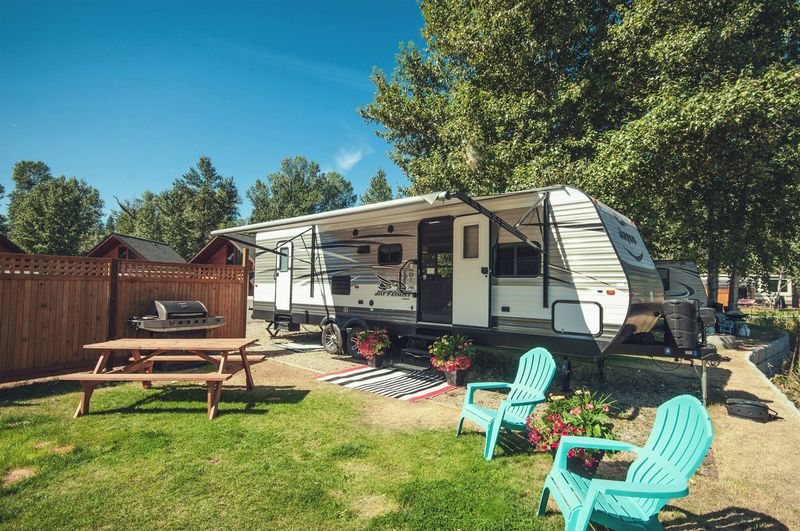 When you own an RV lot at Cottonwood Cove Resort it means secured, legacy whole (vs. shared interest) ownership of a prime, 5-star location British Columbia’s Shuswap Lake. With over 3,000 feet of waterfront, you’re assured a camping experience with a front-row seat to nature, complete with urban services, amenities and a sense of community. You also have a place to park your rig, unlimited access to an on-site marina, boat launch and off season storage. Customization? Absolutely. Owners are welcome to build their own decks on their lot and back their RV up to the deck. The on-site boat launch ramp is located within the resort, not off the highway, making it more secure and safer for you and your family to access. If you need a place to store your boat while away, we offer fully secured year round storage. Access during the off-season is available upon request. When you own property at Cottonwood Cove, you own more than just a lot, you own a piece of our community. We're very proud of the culture that's developed around the resort, and it's a huge reason why we know you'll love it here. Our residents have made life-long friends with some of their neighbours, and the connections made within our community carry over to the off-season or when you're not at the resort. Cottonwood Cove is full of friendly folks, who you'll be able to mingle with at the Clubhouse, on either of our 2 main beaches, the community pavilion, our full service restaurant and bar, the convenience store or just going about their business around the resort. You'll love the sense of community that comes with owning property here at Cottonwood. The Shuswap has become famous for its mild, temperate climate and boasts long, warm summers with average temperatures of 27 degrees Celsius. The lake is the main attraction here and water activities abound including boating, waterskiing, tubing, jetskiing, houseboating, kayaking, canoeing, standup paddle boarding and fishing. There are numerous hiking trails in the surrounding Provincial Parks and there are golf courses just a 15 minute drive away. With a spot right on the lake, Cottonwood makes summer recreation part of everyday living. Just a 10 minute drive off the TransCanada Hwy yet you’ll feel like you’re miles from the hustle and bustle of city living once you arrive at Cottonwood Cove. Situated on the shores of Shuswap Lake and right next to Haig-Brown Provincial Park and the famous Adams River with its salmon run, the Cove is an easily accessible nature lover’s paradise. The unique secluded cove with its calm waters allows you to enjoy non-motorized water activities, have a leisurely float or to provide a safe environment for young children and grandchildren. 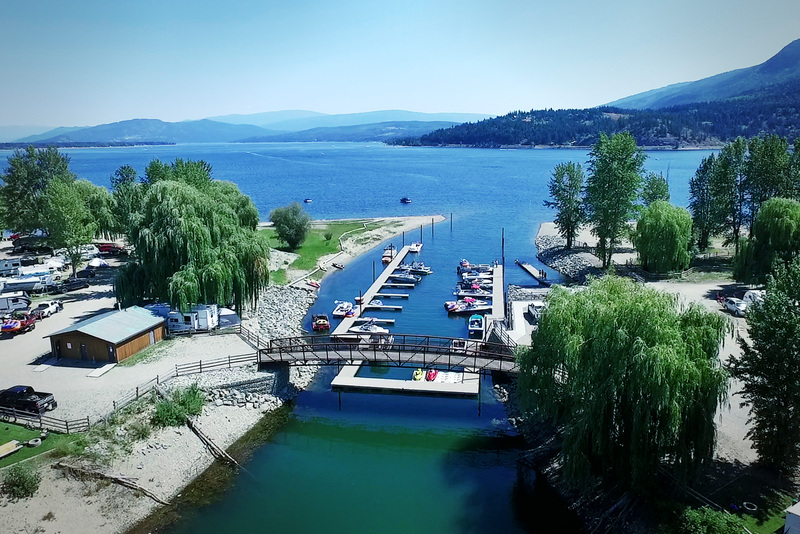 With over 40 boat slips at the on-site marina, there is the added convenience of having your boat moored and ready for exploring the Shuswap. No more worrying about where to park your RV or store your boat. No more missing out due to overbooked campsites. You can relax knowing that your spot on the Shuswap is waiting for you and is being taken care of by an experienced professional property management team. Rest easy knowing that you and your family have secured a place to enjoy your summer vacations for generations to come. Whole ownership in a one of a kind resort community on Shuswap Lake. Owning a lot at Cottonwood Cove gives you prime value for your dollar. Competitive financing is available for as little as 5% down on approved credit. Being at Cottonwood allows you to mingle with like-minded folks who love to RV, camp and get back to nature. The staff and the other campers are here to enjoy life and will make you feel like part of the family! Thank you for your interest. By completing the registration form, you are granting your consent to Cottonwood Cove RV Resort and Fortune Marketing Inc., 305 Lawrence Avenue Kelowna BC V1Y 9W5, to send you information about this project and future projects. You are able to withdraw this consent at any time by contacting 778.484.0045, info@fortunemarketing.ca, or click the appropriate link at the bottom of any email received.